Each participating business will have a trained volunteer coach assigned to them. The trained coaches are an expert in navigating the Scor3card tool and the resources found within and act as a liaison and mentor, aiding the business as they participate in the Scor3card. Coaches complete three workshops led by experienced Scor3card Advisors before being assigned to a business. They will continue with monthly coaches meetings along with other educational opportunities throughout their coaching year, as they work with businesses through the Scor3card. Do you have a passion for sustainability and helping businesses improve their bottom line? 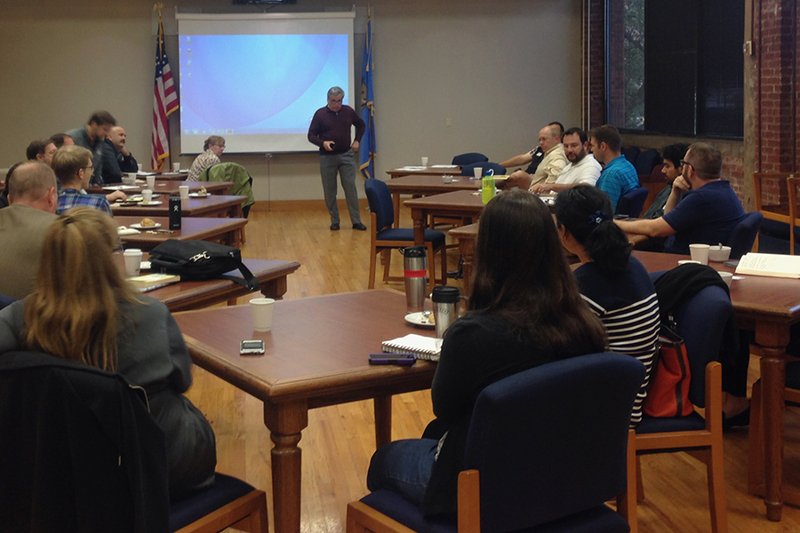 Can you commit to a year with Sustainable Tulsa, which includes training workshops, ongoing monthly continuous education, and a minimum of 5 hours a month with your assigned business? If you can answer “Yes,” we want you! Our next coach workshops will begin in 2018. Seating is limited, so sign up now to reserve your spot!